If someone comes to your door asking for donations for MarineParents.com™, Inc., it is a scam. MarineParent.com never solicits donations by going door-to-door -- ever. 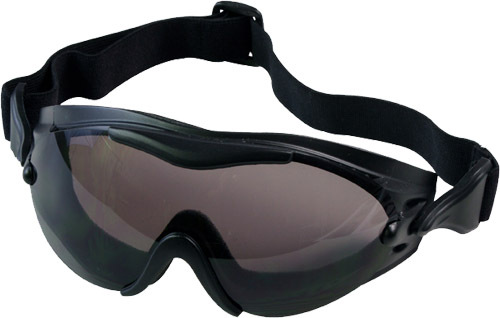 We only ask for donations via our websites or through fliers included in shipping products from the EGA Shop. 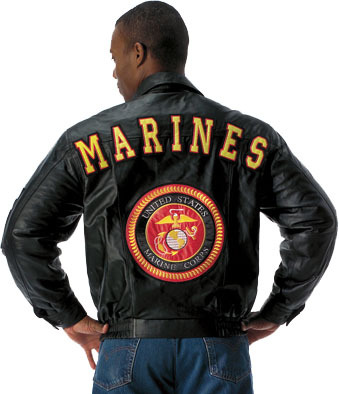 all proceeds benefit MarineParents.com™ outreach programs. The Veterans Crisis Hotline is a great resource for veterans, active duty military, and their families, and is backed by the Department of Veterans Affairs. Qualified responders are available 24/7 to offer confidential help in times of need. If this is the first edition of the Marine Parents newsletter you have received, WELCOME! If you are a returning reader we are glad you have joined us and thankful for your support. The Girl Scout Cookie care package packing day was a huge success, with 88 volunteers helping us fill 752 boxes for our Marines in Afghanistan combat zones. You can read all about it in this week's issue, and you just might see yourself in our slideshow! 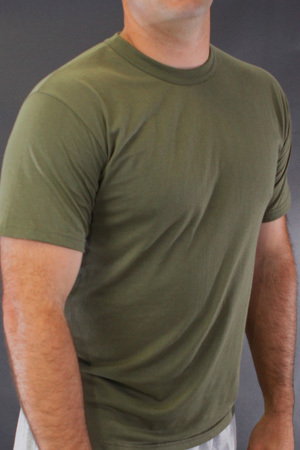 Also in this issue: MarineParents.com™ has teamed up with Vapor Apparel to print and donate 250 T-shirts for the May 19 Marines Helping Marines Fishing Tournament in North East, Maryland. We'll tell you about a military mom in New York who has gotten her whole company involved in wearing red on Fridays. Also, May 11 is Military Spouse Appreciation Day, so be sure to say "thank you" to a military spouse that day (and maybe bring her -- or him -- a cookie!). The day dawned cool and crisp, a bright spring morning -- but at MarineParents.com™, Inc., it was as warm as Grandma's kitchen. The warmth had nothing to do with the temperature from without and everything to do with the feelings from within. The Girl Scout Cookie® pack day was open for business, and the warmth, the love, the sense of camaraderie was unmistakable. Volunteers pack Girl Scout Cookies and other items into care packages on April 21, 2012, at MarineParents.com™ in Columbia, Missouri. In two hours, 752 care packages were filled and shipped to Marines in Afghanistan. Eighty-eight volunteers strong, on April 21, 2012, we filled 752 care packages for Marines serving in Afghanistan combat zones. Working for a common purpose, old friendships were renewed, and new friendships were made. That's a big part of the MarineParents.com™, Inc., mission statement. And it's also a big part of an event former active duty Marines Eric Kowal and Joby Poster launched in 2009, the Marines Helping Marines Fishing Tournament. This year, the fourth annual event will be held May 19 at Anchor Marina in North East, Maryland. 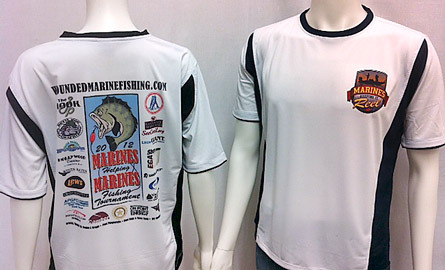 MarineParents.com™ and Vapor Apparel will be there as well, the two teaming up to make 250 T-shirts the wounded heroes, their families and pro fishermen wear during the tournament. Vapor Apparel donated the shirts, and MarineParents.com™ printed the front and back tournament and sponsor logos. It started with one person, one mom - one Marine mom. It has grown to include a whole business. 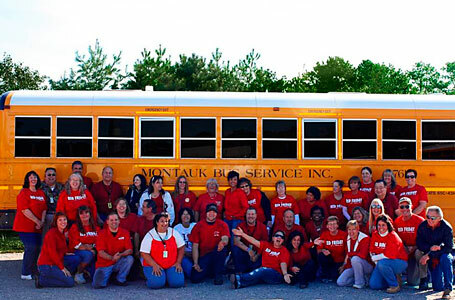 For Montauk Bus Service of Center Moriches, New York, and serving Eastern Long Island, Red Friday is a school bus company thing. Dotte Lantz, who has a son in the Marines, started the tradition of people at her office wearing red on Fridays. "I personally have worn a Red Friday T-shirt every Friday since July 5, 2011, since my son graduated from Parris Island," said Dotte Lantz, mother of Marine LCpl. Robert Lantz. The bookkeeper for Montauk Bus Service, Dotte started a trend that stretches across the 175-employee company when she ordered shirts for anyone who asked for them. Other employees, Dotte said, have family members in the Army, Navy or Air Force, so red pops up all over the place on Fridays. 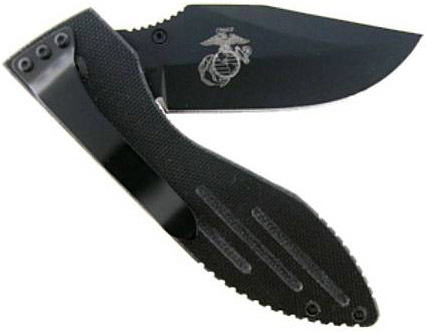 Said the company: "Montauk Bus Service, Inc., is proud to support the military and U.S. Marine LCpl. Robert Lantz. Montauk Bus Service, Inc wishes to thank all service men and women for their dedication to our freedom." Cpl. 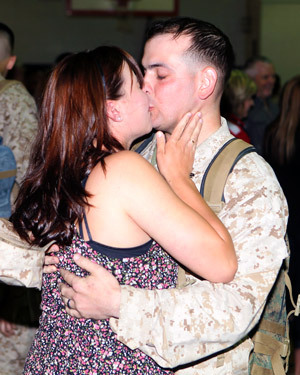 Stelio Montini kisses his wife, Amber, after coming home from a seven-month deployment to Afghanistan. The baby is crying. The dog is barking. And that smells like dinner is burning in the oven. Home life can be stressful in the best of times, but now imagine that your spouse is 10,000 miles away and won't be home for another five months. For thousands of military families, they don't have to imagine: It is reality. That's why May is set aside as a national military appreciation month, and the Friday before Mother's Day is Military Spouse Appreciation Day. This year's spouse appreciation day falls on May 11. Having your Marine deployed for the first time can be a nerve-racking time full of worry and doubt - and a lot of questions. As "a place to connect and share®", MarineParents.com™, Inc., is here to help you find the information you need in an OPSEC-appropriate manner. On our Marine Family Network website (click here to access), you can find groups, start a blog, ask questions and find out how to take part in events around the country or online. On our main MarineParents.com website (click here to access), we have links to deployment; links to your Marine's specific battalion and unit; links to unit-specific information pages; and links to information about the country in which your Marine is deployed. You can also learn about operations security (OPSEC) procedures and ways in which to communicate with your Marine; about sending care packages; issues that arise during deployment such as identity theft, income tax filing and power of attorney; suggested reading and much more. MarineParents.com™, Inc., thanks the Walter Reed Society for it generous late-March donation of $500, the sixth and final payment of a $3,000 grant the society approved in October 2011. 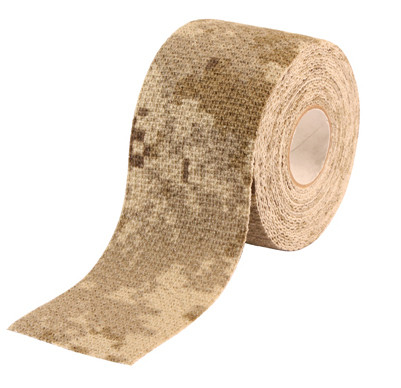 With the money, MarineParents.com™ can continue to supply injured Marines and their families with meals at Walter Reed National Military Medical Center in Bethesda, Maryland, and at the Naval Medical Center in San Diego, California. I n late 2011, the Department of Defense published the "DoD Compensation and Benefits Handbook," a comprehensive resource guide for military service members and their families. It details what a service member would be entitled to after leaving the service, retirement or as a result of serious injury or illness. The banner photo was taken February 14, 2012. Brig. Gen. Michael G. Dana, commanding general of 2nd Marine Logistics Group (Forward), lauds the performance of his Marines and sailors during a transfer of authority ceremony aboard Camp Leatherneck, Afghanistan. After a year-long deployment in support of International Security Assistance Force operations in southern Afghanistan, 2nd MLG (FWD) relinquished logistical support responsibilities to 1st MLG (FWD). Photo by Marine Corps Sgt. Justin J. Shemanski. MarineParents.com™, Inc. is a 501(c)(3) public charity. MarineParents.com™, Inc. was founded in January, 2003 in response to parents' needs to find information and to have "a place to connect and share™" with one another during their Marine's career. Our free online services and connections have expanded to support and educate Marine moms & dads, spouses, families and friends. 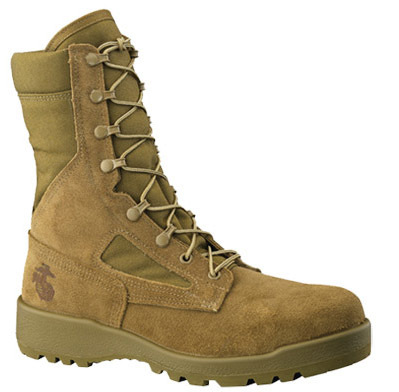 We've helped 400,000 Marine and recruit families during boot camp, training, active duty and deployments. We've shipped more than 32,000 care packages overseas to our Marines in Iraq Afghanistan, sent 60,000 prayers and letters to injured Marines and served thousands of meals to wounded heroes and their families on the East and West coasts. You've found a Place to Connect & Share™.